Yasiel Puig is no friend of the Los Angeles Dodgers anymore. 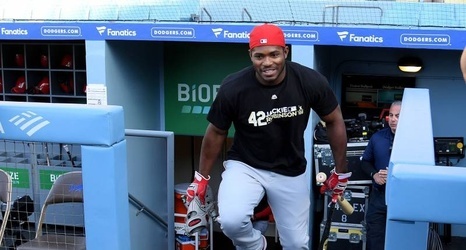 Puig made his return to Dodger Stadium on Monday night as a member of the Cincinnati Reds. In his first at-bat, he hit a two-run home run off Clayton Kershaw, who was making his 2019 debut. In what was largely a cost-savings maneuver, the Dodgers traded Puig to the Reds in December, ending his time in L.A. after six years. "We're going to Los Angeles, and we need to be prepared to beat my old teammates," he said ahead of the game, per MLB.